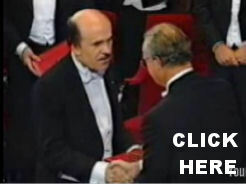 Dr. Louis Ignarro Receives Nobel Prize in Medicine for his research showing Nitric Oxide as a signaling molecule critical for cardiovascular health. 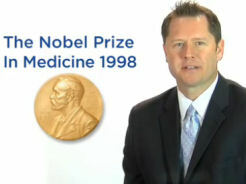 Dr. Ignarro is one of three American doctors who together received the Nobel Prize. Dr. Ignarro wrote the book "No More Heart Disease" where he states, "repairing the damage wrought by cardiovascular disease without risky and often ineffective surgery had long been considered impossible... Now we know we can reverse cardiovascular impairment naturally - with the body's internally manufactured wonder drug, Nitric Oxide." Dr. Louis Ignarro describes the role of Nitric Oxide and L-arginine in cardiovascular health, and how Nitric Oxide can reverse cardiovascular disease. L-arginine, an amino acid, is the precursor of Nitric Oxide in the body. Nitric Oxide is a vasodilator which does many helpful functions in the body including the following: relaxes the blood vessels to lower blood pressure, protects against stroke and myocardial infarction, interferes with unwanted blood clotting, protects against atherosclerosis (coronary artery disease or plaque formation), promotes human growth hormone which in turn helps promote lean tissue and reduce fat tissue. These results are all the more remarkable because Dr. Prendergast treats a large number of high risk diabetics who would normally be expected to suffer from cardiovascular disease. - A simple Miracle Molecule can make the Difference of Your Life! Alan Thicke introduces ProArgi9 and describes how it helps prevent heart disease and provides anti aging protection. 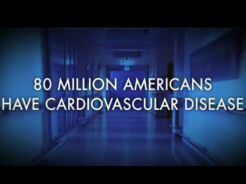 Dr. Prendergast was diagnosed with advanced Arteriosclerosis at age 37 with the arteries of an 80 year old. 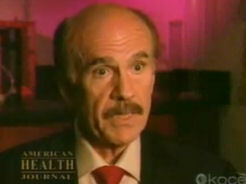 Today, at age 73, he has the arteries of a 15 year old and does not have any plaque. 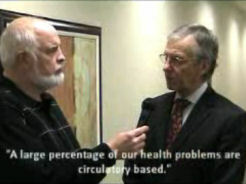 Dr. Kenneth Kroll tells how ProArgi9 promotes cellular health naturally without any side affects. Nitric Oxide relaxes arterial walls, smoothes vessel linings, resists plaque and diminishes risk of heart attack or stroke. It allows blood to flow freely and nourish the entire body. It builds muscle mass, increases energy and stamina. Dan Higginson, Founder and CEO of Synergy Worldwide tells how when he started Synergy Worldwide his goal was to provide the highest quality, most scientifically advanced nutritional products on the market. Synergy began formulating an L-arginine product when he was introduced to Dr. Joseph Prendergast, a leading Endocrinologist in Palo Alto California. 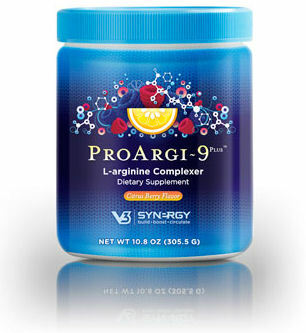 Togethe with Dr. Prendergast's extensive clinical L-arginine experience, Synergy teamed up with other leading doctors and collaborated with top nutritional scientists to create ProArgi9 Plus which is available exclusively through Synergy Worldwide Independent Team Members. Dr. Craig Buhler, Chiropractic physician to the Utah Jazz for 24 years offers his perspective on ProArgi9. Dr. Buhler contributed to the lowest player missed games due to injury rate in league history. He has been in private practice for 32 years, specializing in athletic injuries and accelerated rehabilitation. He has published in scientific journals in the area of motor physiology. He was a consultant to the Denver Broncos during the Super Bowl years and to the Oakland Raiders. He developed numerous technologies for evaluating muscle function. 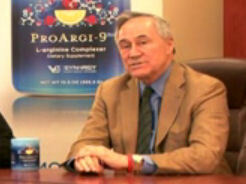 Dr. Buhler describes the significance of the science and research behind ProArgi9. Dr. Haws, Professor of Anatomy and Physiology. ProArgi9 helped restore his health. Doctorate in Biochemistry and Physiology. 78 years old. In 2000 had triple bypass, 3 stents in 2005, another stint in 2008, then had a stroke. 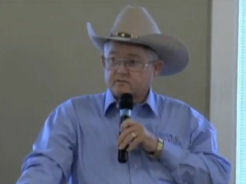 Doctors said that was the "beginning of Dr. Haws' future". Had chest pains doing just about anything, and was popping nitro pills continually to control the pain. Was in a wheel chair. Neighbor introduced Dr. Haws to ProArgi9. Now he feels like is is 30 years old again! Gets up in the morning and can do whatever he wants and does not have any pain. Does garden, travels, walks, etc. Dr. Haws is now off BP pills and off all meds! 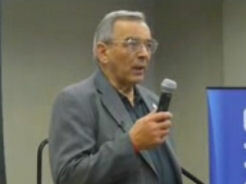 Angelo Cici tells how ProArgi9 saved his life following congestive heart failure, renal failure, pacemaker failure, pulmonary hypertension and heart surgery. Following surgery, Angelo continued to become weaker and progressively got worse until he could hardly walk and he was on oxygen continuously. Eventually, Angelo determined he had had enough and was ready to die. Then, Angelo was selected as one of 33 patients at the High Desert Heart Institute who were part of a clinical trial of ProArgi9, and Angelo describes how this changed his life. The results of the trial were tremendous, and they are expected to be published soon in medical journals. 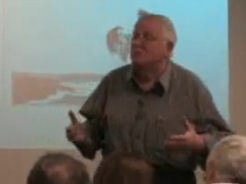 Larry Guthrie had six heart attacks before ProArgi9. Larry describes how he also had heart transplant surgery, renal failure and diabetes. He was on 36 different medications. Larry's doctor was considering placing him on the kidney transplant list and was preparing Larry for renal dialysis. Then Larry learned about ProArgi9 and Dr. Prendergast. With ProArgi9 and Dr. Prendergast's help, Larry has been able to go from 36 medications all the way down to 4 medications, and Larry says ProArgi9 helped him avoid going on renal dialysis. ProArgi-9 Plus is Synergy’s top selling product and the cornerstone of any nutritional regimen. One serving contains 5,000 mg (5 grams) of elemental pharmaceutical grade l-arginine. Often referred to as the “miracle molecule,” l-arginine has potent health-enhancing properties.